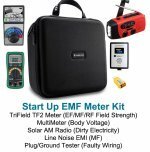 Are you looking to build a successful EMF Consultant online business? Our website is an SBI (Site Build It) online business. It is far beyond any web business tool we’ve seen - more than a website, it is a low cost, low maintenance, high traffic, high visibility online business that makes managing our EMF Expert consulting business very easy. We, here at EMF Experts, think you have to experience SBI (also known as SiteSell) to really understand the phenomenal benefit it offers you as an online business owner, and particularly as an EMF Consultant online in a global market. It is far from simply being a website building/hosting service (although it is that), it is an entire online business building system, for $30 or less per month, that provides you with numerous other services that would cost thousands more to add onto any web business – services like Search Engine Optimization that is simply the best there is (each page passes a SEO check before it goes live), and lots of ‘includes’ like e-zines and newsletters, auto-responder email marketing, social media marketing feeds, Blog with RSS feeds, surveys, forms and other interactive features, and much more. 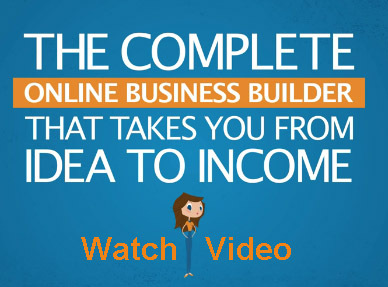 The excellent video tutorials walk your through each step online business development right from Day 1, beginning with choosing your SE0 sure-winner domain name to Day 10 monetizing (making money) from your site. 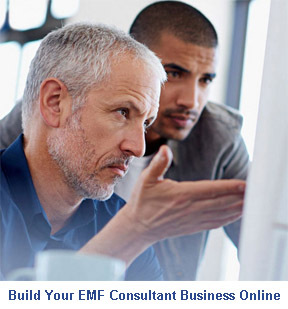 What has been our Experience building an EMF Consultant Business Online? We consider SBI's strongest suit the online business building system and its see-and-do tutorials; this alone can take you wherever you want to go with whatever online business model or website host you choose. We have had various professional sites with SBI for over ten years now, in the past two years EMF-Experts.com traffic and number of visitors per month has increased by 2,831%. We’re happy with that kind of growth and with the quality of visitors our site generates, and we give the credit to the SBI system. It's our firsthand results like this that enables us to give it our thumbs up. Our recommendation ... if you have always wanted the freedom of an online business, and are interested in building successful EMF Consultants online business SBI will give you every educational and support advantage you could hope for in making it a realty, and all the various tools and community you need to do it. Try an SBI online business building subscription, build a website (you can even build it in WordPress) as you learn the online business basics, and then watch to see if your site traffic numbers, or growing income, or online business marketing goals, are met in ways that warrant continuing. Yes, as human nature would have it, you can find those out there on the web who have negative things to say about not having made money with Solo Build It (aka SiteSell), but to them we’d reply, like anything else in life - it is all what you make of it. Having said that, of course if you prefer to look before you leap, you can look under the Solo Build It hood for a month and request your $30/mo back. 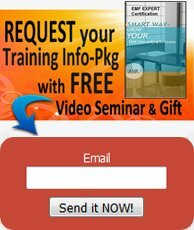 Still, if you are serious about achieving results and yet you reasonably need proof to know it works for sure, find out for yourself - sign up, watch the Solo Build It 10 Day video tutorial system and apply what you learn, then monitor your business metrics, and give it a year (for $300). Wishing your the best of success!